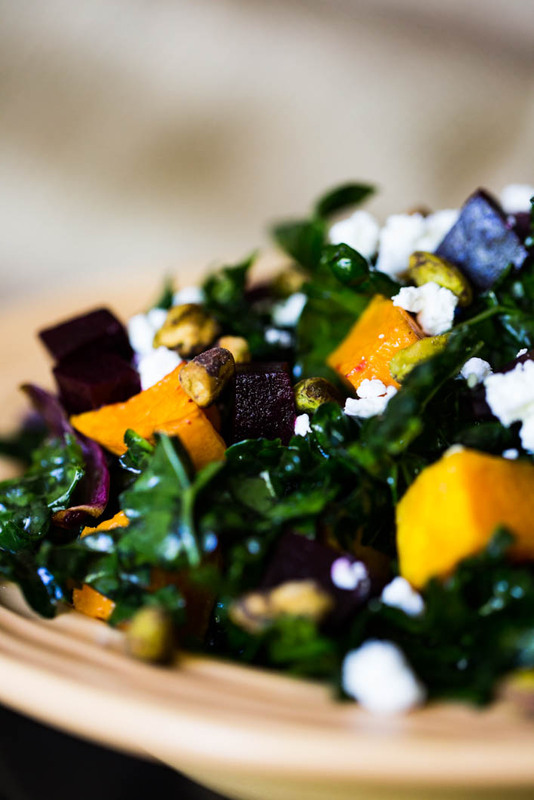 My Tuscan Kale Salad with Roasted Butternut Squash & Beets shouts out autumn, and even mimics the color of the trees. 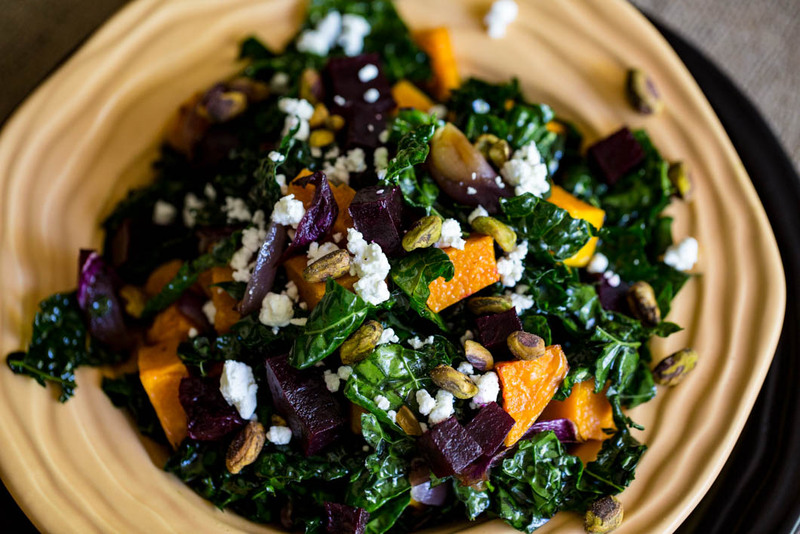 Now that fall is officially here, the farmers markets are loaded with all sorts of squash, roots vegetables and plenty of hearty greens to put on your table. With the weather changing I have a stronger desire to nourish my body with everything healthy in hopes to shield myself from the flu or any other virus’s that may be floating in the air. Truth be told I haven’t been a fan of Kale until recently when I realized if I massaged the leaves, just as one would massage a body, the leaves become tender and easy to digest. Who ever heard of massaging greens? But yes, in fact it truly does make a difference. There are numerous varieties of Kale to choose from, but I especially like Tuscan Kale, also known as lacinato kale; Cavolo nero, and dinosaur kale. If you’ve never tried Kale before you’ll feel incredibly energized after eating eat. Kale is one of those foods that’s on the lists for the anti-inflammatory diet. It won’t leave you feeling stuffed and tired, but totally alive and ready to run. 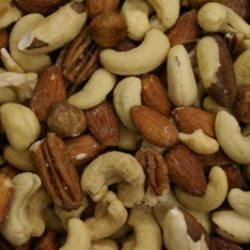 Low in calorie, high in fiber and has zero fat. High in iron & has more iron than beef – essential for good health. High in Vitamin K – helps protect against certain cancers, a variety of bodily functions, and can help people suffering from Alzheimer’s disease. Packed with powerful antioxidants – that helps protect against various cancers. Ideal for cardiovascular support by helping to lower cholesterol levels. Kale is high in Vitamin A, making it great for your vision, skin, and helps to prevent lung and oral cancers. Large percentage in Vitamin C.
Contains a higher percentage of calcium than milk, which helps to aid in bone loss. 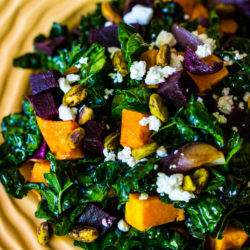 Kale is a superior detox food, filled with sulfur & fiber, ideal for detoxifying the body. Purchase Tuscan Kale today. Prep it by removing the stem, chopping it, massaging it, and even dressing it. Fresh Kale once prepared will hold up in the refrigerator for up to 3 days even if it’s already been dressed with your favorite vinaigrette. This hearty green will hold up for days and taste just as good as the day you dressed it. How great is that? I’ve tested this recipe on my family and friends and all have said they love it! 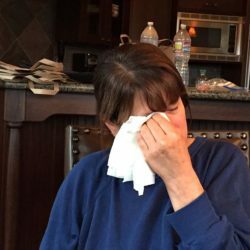 Even my mom who dislikes butternut squash and my sister who dislikes beets. I served this, and both went back for seconds. 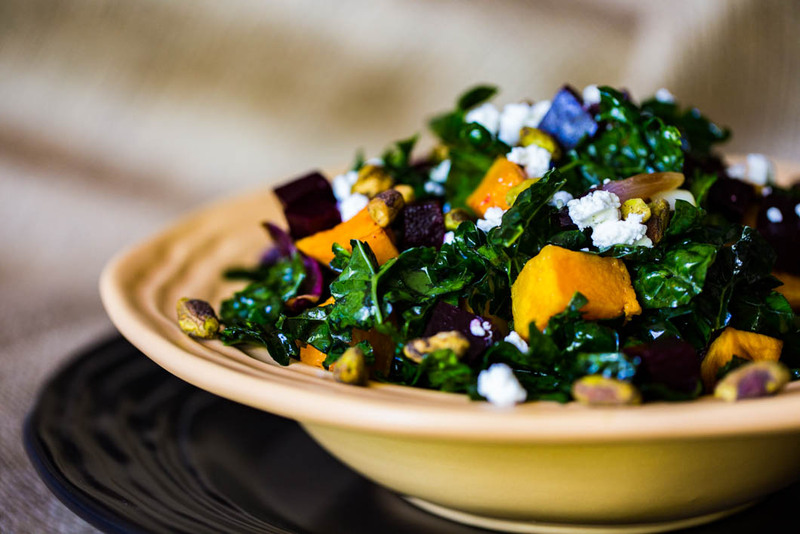 I hope you’ll try my Tuscan Kale Salad with Roasted Butternut Squash & Beets for a weeknight dinner, your Thanksgiving dinner, and even on Christmas or New Years. It’s so pretty and easy to toss together. This is truly a jewel of a salad! Prepare the vegetables the day before or early in the day. 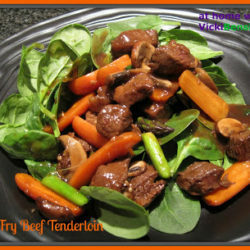 Set them aside in the refrigerator and bring to room temperature 30-60 minutes before adding to the greens. Toss with the Maple Vinaigrette and serve. I think you’ll agree this may be one of the most satisfying and nutritious salads you’ve had in a long time – bursting with color and flavor! Are you ready for fall? 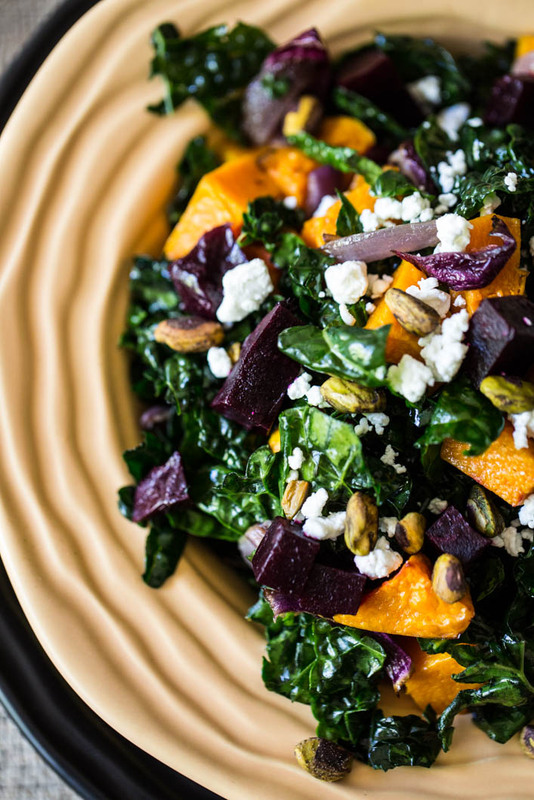 My Tuscan Kale Salad with Roasted Butternut Squash & Beets will give you all the flavors & comfort of a fall day! Roasted Beets: Cut Beets away from stems. Rinse and pat dry. Place each beet into a square of heavy duty foil. Drizzle with olive oil, fold up ends of foil around beets and place in 425F degree oven for 1 hour. Beets are done when the tip of a knife can be inserted easily. Remove from oven and allow to cool for approximately 15 minutes. With plastic gloves or plastic baggies on hands remove skin surrounding beets by simply pulling it away. Slice then cube for salad and allow to cool completely. Butternut Squash: Cut bottom and top off squash and remove skin if desired. Slice into 1/2-inch slices then cube. 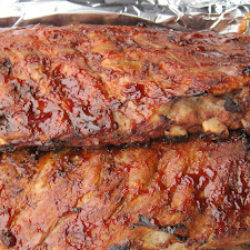 Place on foil lined sheet pan. Drizzle with oil. Bake in 425F degree oven for 20-25 minutes or until tender. Roasted Onions: Peel onion and slice into wedges. Place on foil lined baking sheet and bake at 425F degrees for approximately 15 minutes or until onions soften and start to caramelize. Can be placed on same pan as Butternut Squash only divided with separate sheet of foil. Kale: Rinse each leaf separately and pat dry. Prepare Kale by removing the center stem from each leaf by either cutting out or tearing leaves away from stem. It's important to do this because the stem is very tough. I find it easiest to fold each leaf in half lengthwise, leaving the spine or stem at the back. Then with a knife slice it away starting at the top and going to the bottom of the leaf. After removing all stems, cut Kale into bite size pieces. Place in a bowl. Drizzle leaves lightly with olive oil and pinch of salt if desired, and massage (just like massaging someone’s back) until leaves are tender. While this may sound strange it's what will make your Kale taste better and easier to digest. Maple Vinaigrette Dressing: Combine ingredients and whisk. 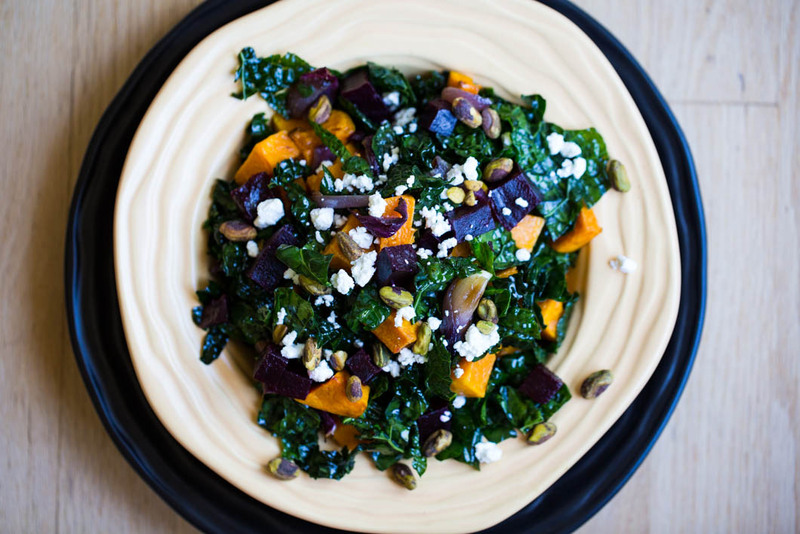 Plate: Lay kale leaves on a platter, scatter with roasted butternut squash, beets, sliced onions, pistachios, and goat cheese. Lightly coat with dressing or serve on the side. Be sure to massage the Tuscan Kale as stated in #3 of the directions. It will insure a more tender and flavorful green. The flavour, colour and texture…absolutely perfect, Vicki. Thank you Angie. It’s so incredibly delicious and energizing. Plus the entire bowl looks like brilliant jewels. 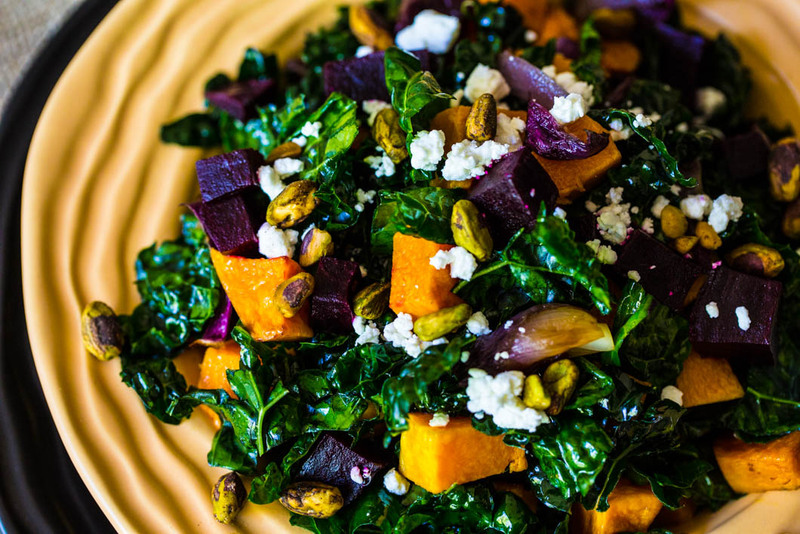 What a wonderful autumnal salad! 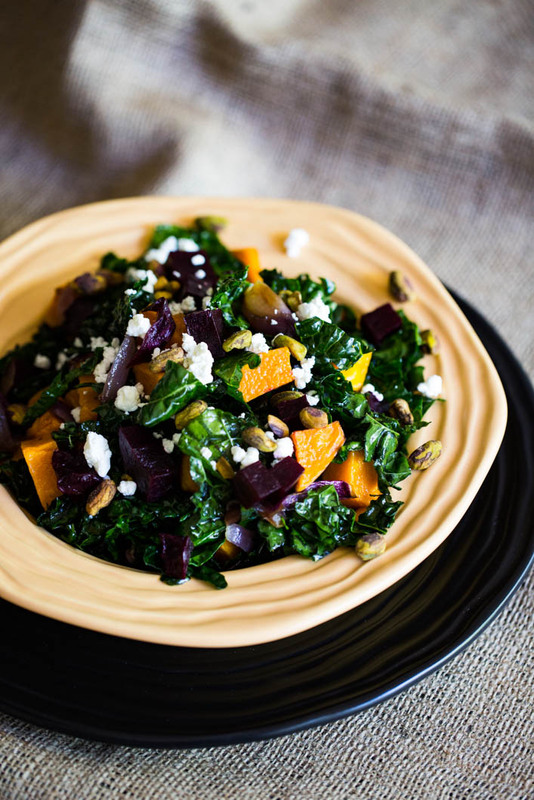 I was surprised how much I enjoyed kale once I massaged it—and so tasty mixed with beets and butternut squash! Isn’t it thought? Who would have ever thought to massage greens but hey it does wonders for it. Beautiful salad Vicki! And it sounds so perfect for a fall lunch or dinner. Love how colorful it is! Lovely bowl of fall here! I really like kale, and massaging it is such a great technique. Neat dish — thanks so much. So colorful and I love all of those ingredients!